In today’s business landscape, digital signage is one of the most eye-catching and effective communications mediums available in the market. Before investing in to digital signage software, it is important to understand what exactly digital signage is and how it works. These software’s can be easily found in transportation system, public spaces, stadiums, museums, hotels, retail stores, restaurants etc. There are some of the best digital signage software’s mentioned below with help of which you can enhance your business standards. Check all the services in detail as per your needs and choose service wisely – by the end, you’ll know exactly which one is the right option for you. OnSign TV is a professional digital signage platform, which is super easy interface, reliable and is available with affordable price rates. 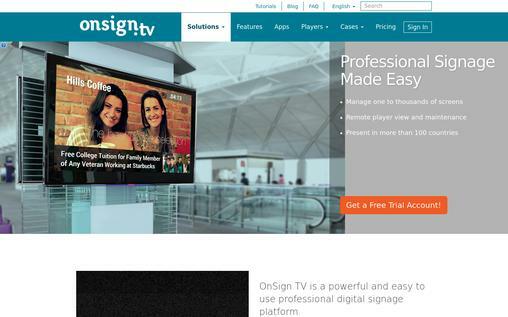 OnSign TV is cloud-based digital signage software, which is, used to manage multiple screens and is suitable for businesses of all sizes. It enables users to access and control screens from any location as well as offer drag and drop interface for creating campaigns. OnSign TV enables users to, easily deploy different screens with the desired formats, and manage it directly from a browser over internet. 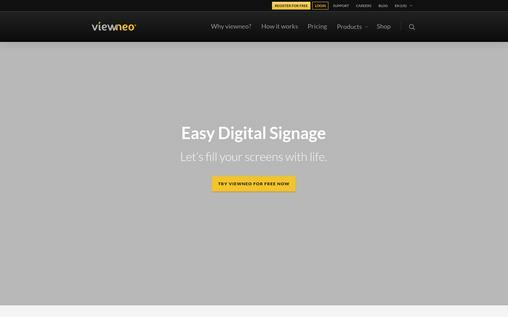 Viewneo is a digital signage platform, which target businesses of all sizes with an affordable solution, which will help them to, further boost their business profit. It is, served by a cloud-based, centralized login. This software need no installation and can be, easily accessed on all devices along with native app support for Android and iOS. By making use of available playlist-oriented approach, signage content is stored and uploaded within integrat ed hosted media database managed web dashboard. Video and image assets are, converted to the necessary format automatically to required formats. ZionWorx is one of the best digital signage software. 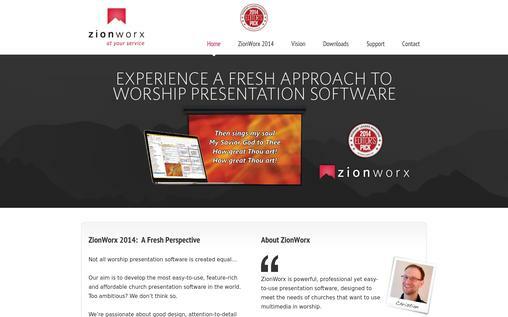 ZionWorx is affordable, high-quality software, which is easy to use. It offer stress-free video playback along with integrated video codecs and offers support for live video inputs and motion backgrounds. It offers seamless integration along with Microsoft PowerPoint. Using ZionWorx, any audio, video, or image file can be, easily used without dependency on anything else to be installed on the computer. 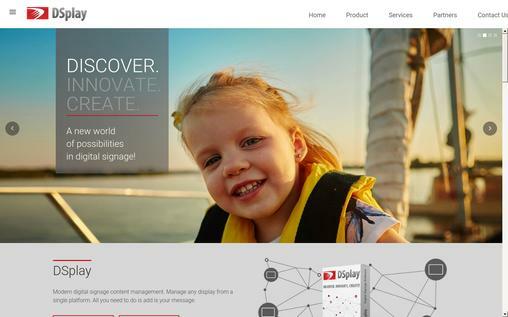 DSPlay is a web-based content management program for digital signage used in different organizations. DSPlay is one of the most reliable and versatile software solutions, which is, used for managing and creating a modern digital signature environment. It will allow you to create playlists and Medias. You can also customize different messages, templates besides web service integration using DSPlay. Using DSPlay digital signature software, media conversions as well as post-processing also became very easy for users. 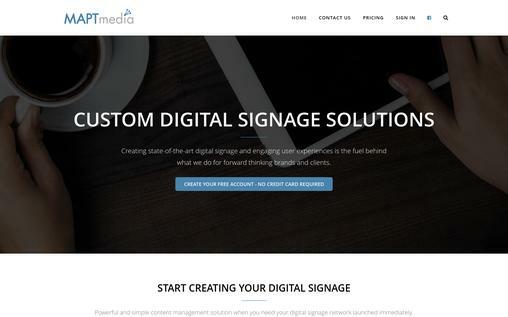 MAPTmedia is free cloud-based CMS software, which is, used to manage your digital signage or touch screen KIOSK. It support different multiple screen content management, RSS feeds, video as well as mobile web options. MAPTmedia is free version software, which offers online data storage for managing a single digital solution. There is no sign up fees or credit cards needed to install as well as use MAPTmedia free version. It is, used in different hospitals, colleges, universities etc. NoviSign Digital Signage is independent software, which is responsible for managing dynamic campaigns from cloud to any particular IP-based sign anywhere in world. NoviSign Digital Signage software makes technology easily accessible to large and small business organizations. Using this digital signage software, user can broadcast different or same targeted messages to any number of signs at unlimited number of locations. It can be easily implemented and is cost effective. Navori QL Professional is enterprise-grade software. It consist QL Server featuring multi-user, playlist scheduling, multi-level web content management module, rule-based playback, monitoring as well as reporting. 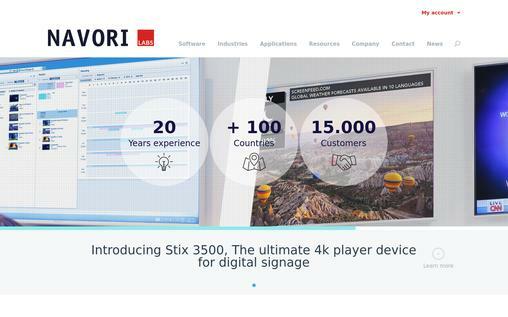 Navori QL Player is a powerful digital signage software which runs on Android players or Windows PCs sharing the same set of professional features such as native playback of images, multi-layer templates, videos, live TV, MS-Exchange, RSS and XML feeds, Google calendar, and video streaming. 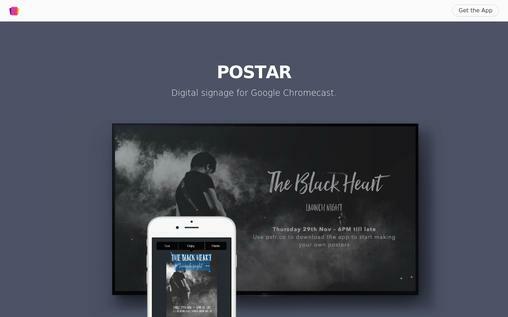 Build your own digital posters; attract more and more customers by showing special offers, product promotions, and menus using POSTAR digital signature software. Your posters get ready just within seconds without wasting money and time with chalkboards, printers, and designers. Simply choose a template and add your text. The most interesting about this particular software is that you can create as many posters as you like and just update them instantaneously. CoreVine will let you make your brand stand out from the crowd with customized and creative digital signage, which make a lasting impression. It offers a dynamic interactive gateway to; easily communicate directly with associates or customers. 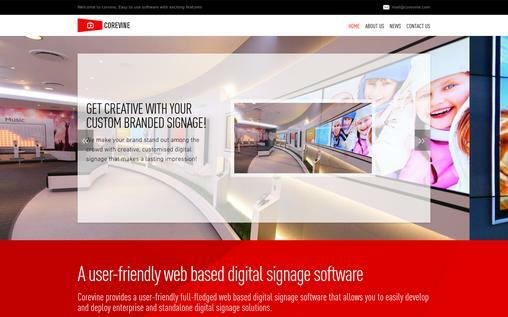 In the digital signage industry, CoreVine is a worldwide leader and is engaged in building intellectual digital signage solutions, which improve brand loyalty, reinforce business objectives, increase sales, and optimize the customer experience. AAZTEC offers powerful digital signage software that allows customers to communicate their messages in an effective and eye-catching way. Aaztec Signage Suite is digital signature software with a conscientious medium, which amplifies customer engagement. 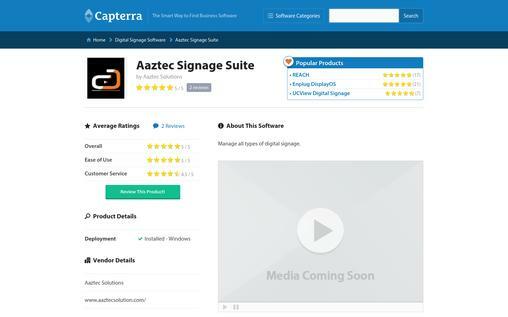 Aaztec digital signature software is renowned software, which is, known for providing quality digital signage service. This particular software is available with a number of interesting features such as a cloud-based content library, drag, and drop scheduling. Digital signage software requires no paint or paper for digital signs; they are environment-friendly as compared to traditional signs. Digital signage consist of technologies such as LED, LCD as well as the projection for displaying content such as video, digital images, streaming media etc. Using these above mentioned some of the best digital signature software’s; you can boost your business profit. I’ve been working with a lot of these solutions in the past few years, but I was not aware of the whole list. There are some missing that I have experience with, like Mirabyte and Inmain. The industry is expanding quite rapidly these days, so maybe it would be a good idea to expand on this list as well at some point. I found it very helpful, so thank you! Woofresh © 2019. All rights reserved.